Ideal for families. Very spacious. Large dining area. Fully equipped kitchen. Two great bathrooms with tub and shower, private balcony. 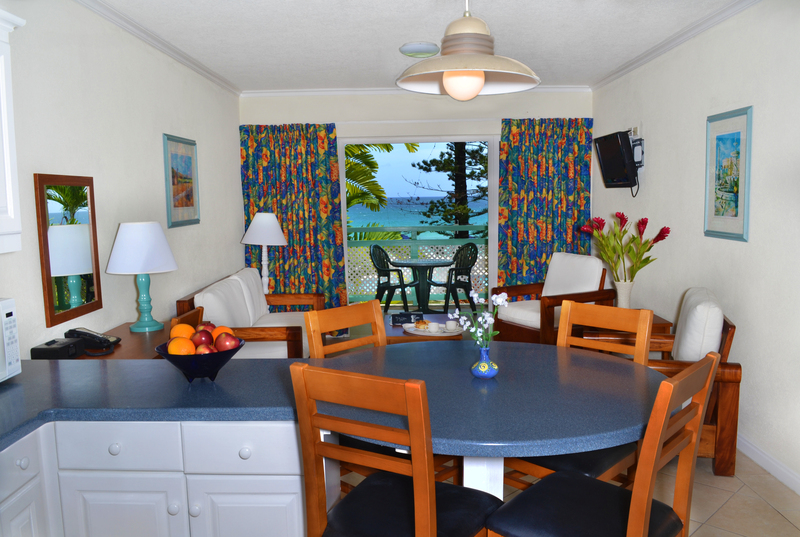 Overlooking beautiful gardens and a delightful view of the ocean. Flat screen Television, Air conditioner in bedrooms. Two twin beds, one King bed. Iron and Ironing Board, Hair Dryer, Telephone, and Clock Radio.